Jarrod Pickett arrived at Carlton from Greater Western Sydney in the 2016 NAB AFL Trade Period. Taken at pick 4 in the 2014 national draft, Pickett finished equal second in the 20m sprint at the NAB AFL Draft Combine with a time of 2.87 sec and recorded a time of 2.87 sec in the agility run. 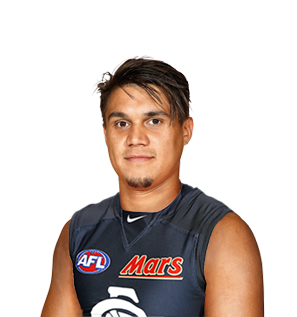 The small forward/midfielder is set to excite the Carlton faithful in 2017 with his electrifying pace and high leap.